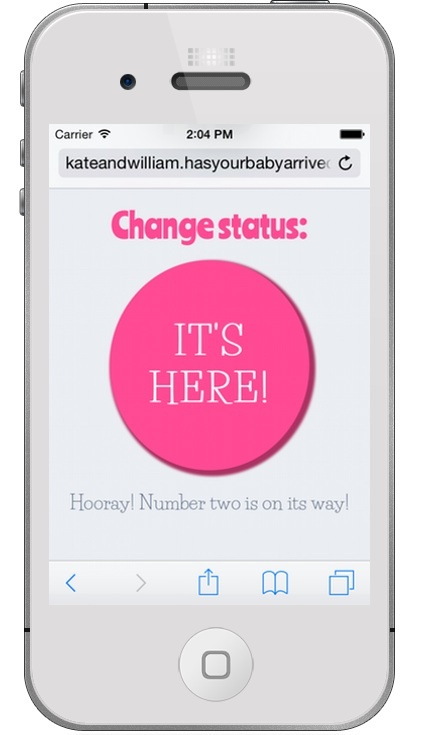 A free and simple service for sharing news of your new arrival and stopping people asking you the obvious question: Has your baby arrived yet?! It’s a fun side project of mine! When we were waiting for our first child to be born we had a simple one-page website like this that said “NO/YES”. I bought the domain name with the aim of running this as a really simple service for parents-to-be. Possibly with some fun added extras. It is live and open to sign-ups, but it’s currently under development so consider it a work in progress. You can find out how it works, or go ahead and sign up.